Subrata and Suchitra take their 3-year-old son for a walk in the corridors of the hospital. Little Rajvir’s face brightens when he sees other people. He makes an effort to run but the saline bottle connected to his wrist, moves, causing him pain. 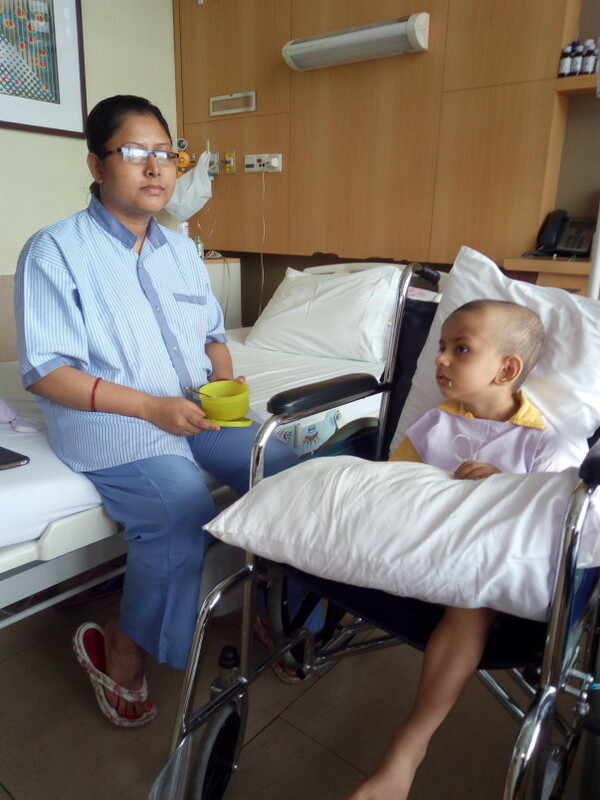 Suchitra is quick to stop him from running, he has just finished his chemotherapy session. 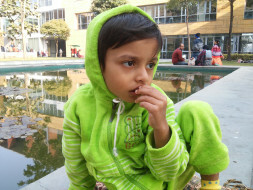 Rajvir has been under treatment for past 7 months. This young child is suffering from cancer. 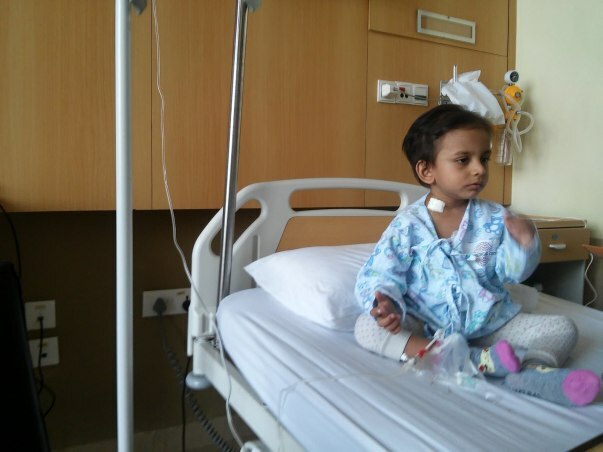 Rajvir’s only hope for recovering is a surgery. 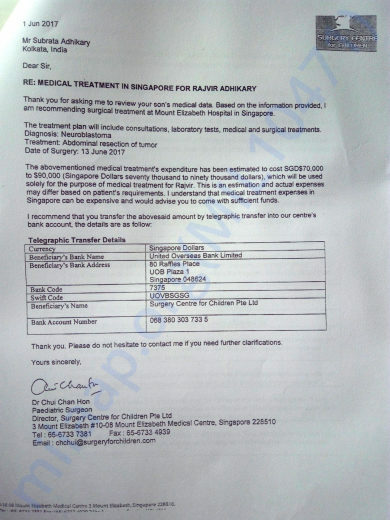 But it is a complex and expensive surgery and the family is out of funds to support his treatment. Life took a downturn for the Subrata and his family last month when 3-yea- old Rajvir was diagnosed with Stage 4 Neuroblastoma (high risk) tumour, a type of cancer that starts in certain very early forms of nerve cells found in an embryo or foetus. This type of cancer occurs most often in infants and young children.tumour, a type of cancer that starts in certain very early forms of nerve cells found in an embryo or foetus. This type of cancer occurs most often in infants and young children. 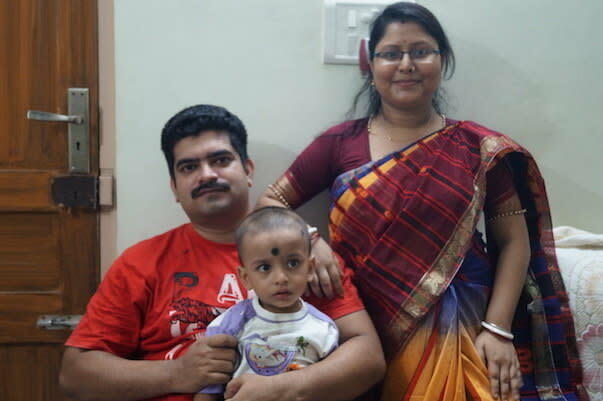 Subrata Adhikary and his wife, Suchitra Adhikary, live in a small town called Barasat in Kolkata, West Bengal along with Rajvir. For the last ten years, Subrata has been working as an IT executive in a Kolkata-based Chemical Research Organisation(CRO). Subrata managed to take care of his family with what he earned. But the news of their little son’s condition disrupted their lives. 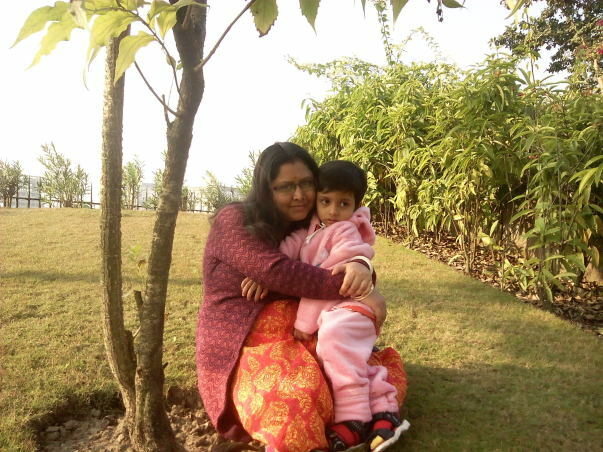 It was a usual day in the lives of Subrata and Suchitra. Rajvir was watching cartoons. Suddenly they heard him throw up. They were shocked to find that he had vomited blood. “We rushed him to the hospital. Doctors told us that it was a case of gastric ulcer. 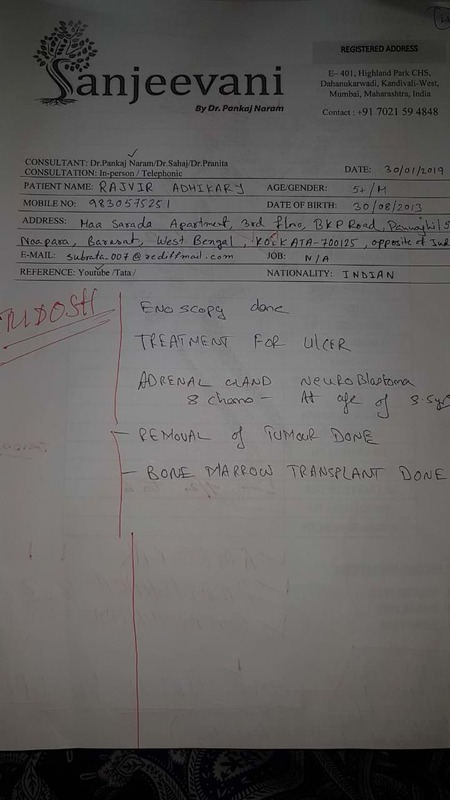 For the next 6-7 months Rajvir underwent treatment for ulcers. 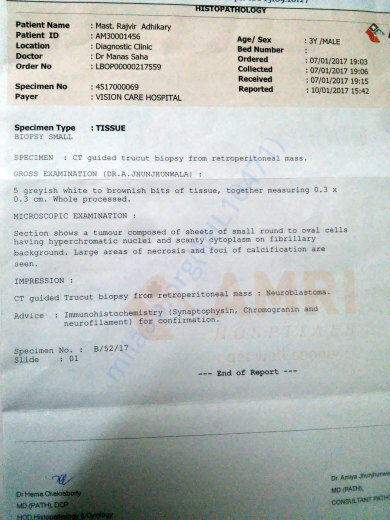 We didn’t know that the diagnosis was wrong. We wasted previous time”. 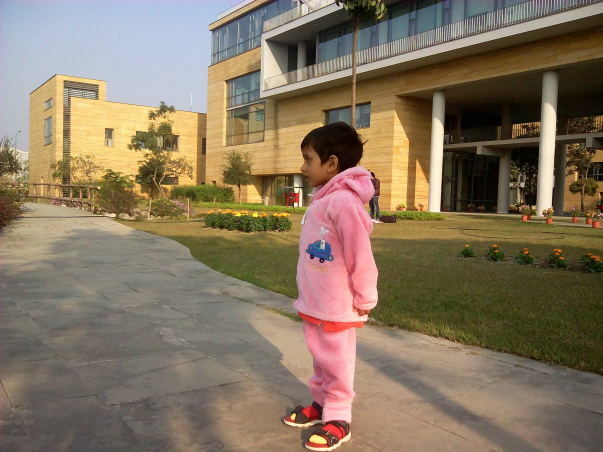 Rajvir has undergone 10 cycles of chemotherapy every 10 days to reduce and possibly eliminate the tumour. 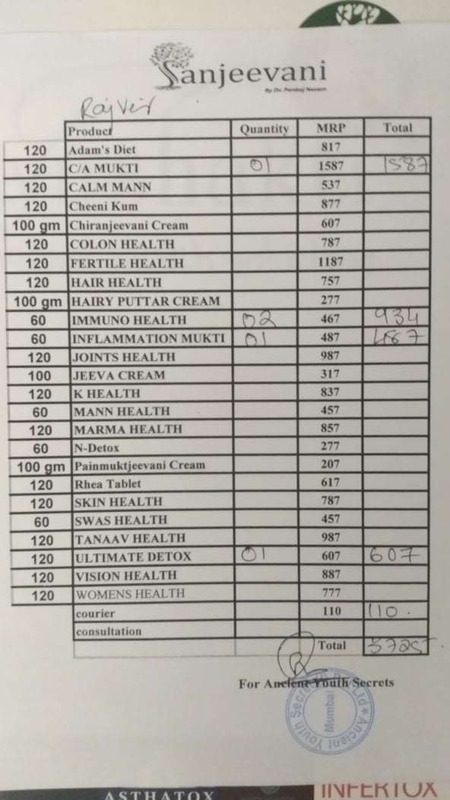 Each session is taking a toll on him. 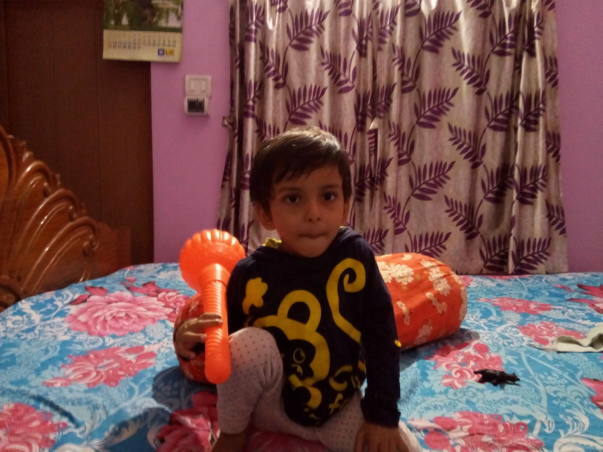 But Rajvir never cries and is very cooperative. "I think he got it from his mother. Even after knowing her son's condition she never gives up. She smiles and tells us we will go home soon. 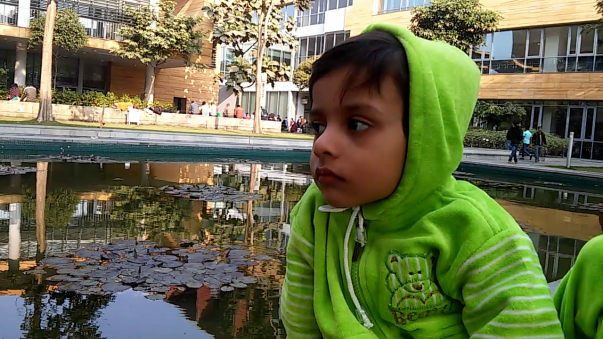 Rajvir has the same positive attitude and it is surprising to see him remain calm during the chemotherapy”. It is heart-wrenching to see Rajvir now. He has lost a lot of hair. 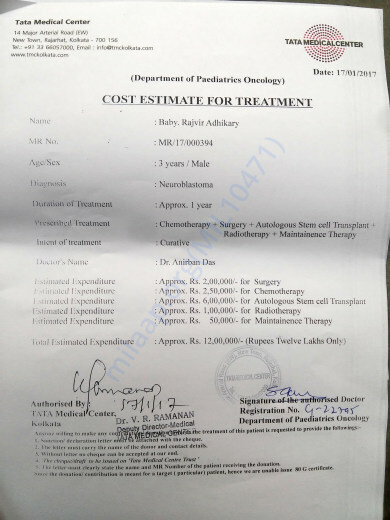 Cancer has spread to the bone marrow as well.The little boy is in a lot of pain but there is a chance to save him. 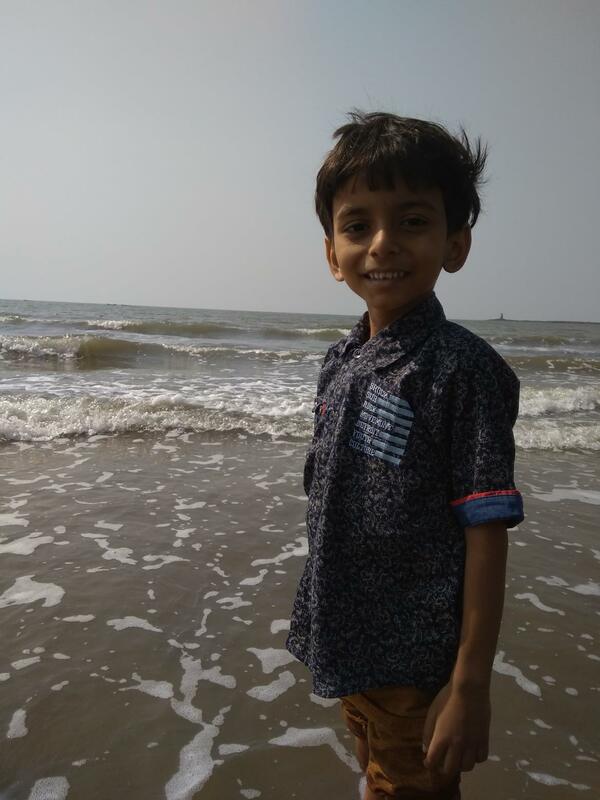 Rajvir's surgery date is very near, milaap giving us 20% extra on each donation to get the targeted goal, Dear supporters kindly please share the campaign as much possible.